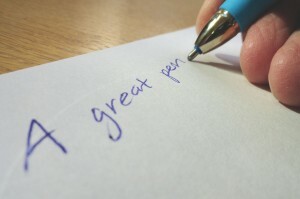 I love Schneider pens – the very best in the world. They’re made in Germany. Stride is the company that distributes Schneider pens in the USA. Stride employs people with intellectual and physical challenges – allowing these individuals to learn and grow in a working environment that is full of love and acceptance. You can read the stories of Peter, Victor and Vaden to see what a difference Stride has made in each of their lives. Stride distributes pens and doesn’t sell them directly to consumers. But you can buy them at Office Depot. When you buy some of these amazing pens, you will help the team at Stride. If you prefer porous-tip pens (what used to be called “felt-tip”) or gel pens, Schneider has those also. And they’re excellent. Ask the Office Depot sales staff to help you find them – the Schneider pens may be tucked away in a back corner. And then go back home to write a real letter, by hand, to someone who could use a little extra love and acceptance. As I was driving a big pickup, I reflected on freedom. In America, we have the freedom to buy as large a vehicle as our budgets (or willingness to take on credit) will allow. Very few people in Europe drive large vehicles, due to fuel costs, the narrowness of roads and the difficulty of parking something so long. But it goes deeper than that. Many Europeans would consider owning such a vehicle wasteful. Fuel costs are high in Europe because governments (elected by people, in most cases) have added substantial taxes to push people to smaller vehicles. It works. Wired recently had an article about the least free country on this planet, North Korea. Citizens there have no choice about which car to drive – nor do they have enough funds to buy any vehicle. The article explores the ideas of how former North Koreans (now living in South Korea) are smuggling in western TV and movies to create a sense of discontent in viewers’ minds. There’s no real evidence that it’s working, though change could take time. China has had a major shift in the direction of freedom during the last 20 years. Cuba is opening up. Who knows what will happen. With freedom comes wonderful experiences – and also garbage. The smuggled USB drives have shows that introduces viewers to the best and worst aspects of western culture. The change agents feel like the worst shows might shock viewers into some kind of awakening. As an American, I am ashamed about some of the ideas my country spreads to the rest of the planet. But getting small glimpses of freedom may spark a revolution. Footnote: Those of you who know me understand I would never buy a big pickup. 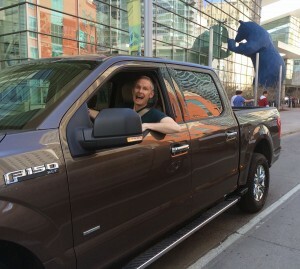 I test drove one as a part of a promotion at the Denver Auto Show. Interestingly, the new Ford F-150 with the smallest engine will have a greater impact on America’s fuel consumption than all the electric Chevrolet Volts combined, due to sales volume. I took advantage of my insurance company’s connection with Enterprise Rentals to get a quirky car to drive during the repairs – the Fiat 500L. The manual was completely worthless – a CD. When inserted into the car’s CD drive, it would not do anything except display an error message. The only way to view the contents was to bring it home and put it into a computer with a CD slot. Then a program had to be installed to make it run! What happens when a driver is 50 miles from nowhere and has a flat tire? The compressor in the back (no spare tire) had no instructions. 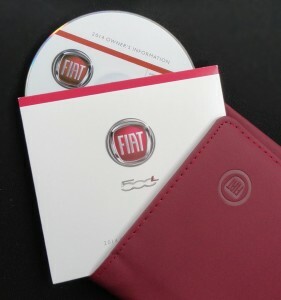 Fiat – please do a little more thinking next time!